People love music. Geeks love electronic music and some of them are even musicians themselves. I can only assume that all these guys (and 1 girl!) are big fans of their synthesizer of choice. 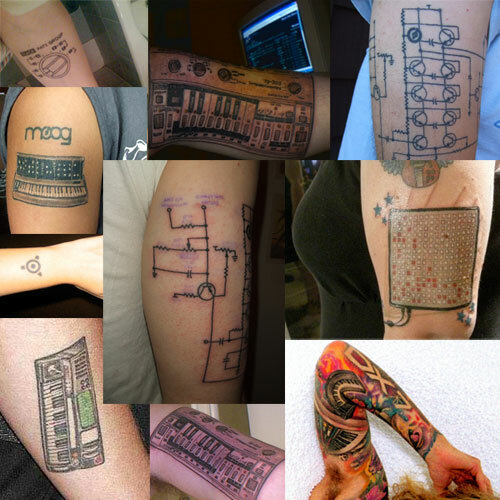 Head on over to Synthgear.com for the full story on these tattoos. Tagged with arm, monome sequencer, Moog, music, Reaktor, Reason, shoulder, sleeve, synthesizer, TB-303, Yamaha DX-7.